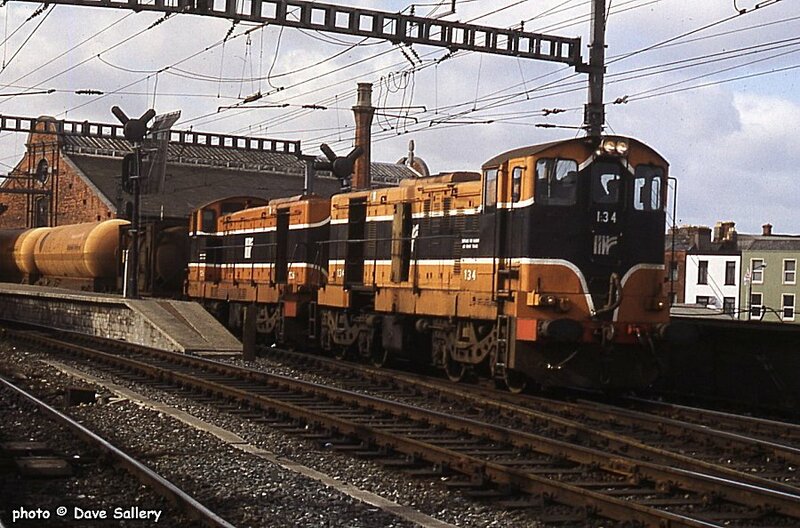 134 and 126 on the Arklow to Cork ammonia working, 1 October 1991. 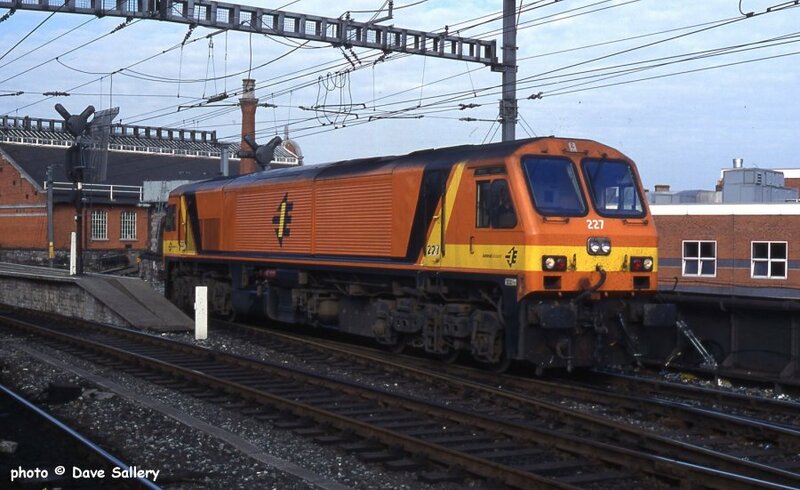 172 backing onto a suburban working, 1 October 1991. 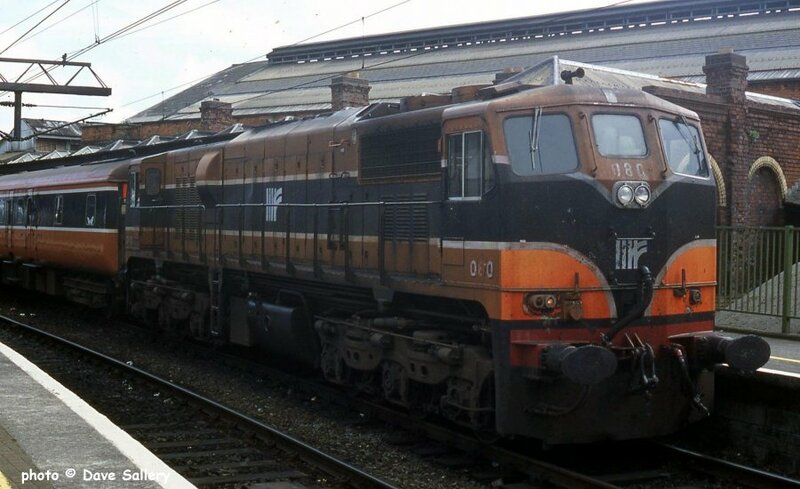 217 and 076, 17 June 1999. Since the previous photo was taken the footbridge has been removed and the roof cleaned. 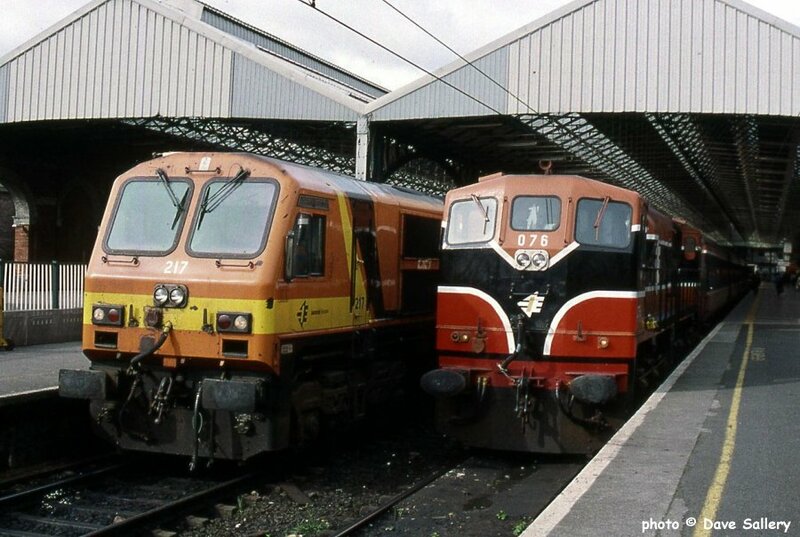 080 under the newly refurbished roof at Connolly, 17 June 1999. 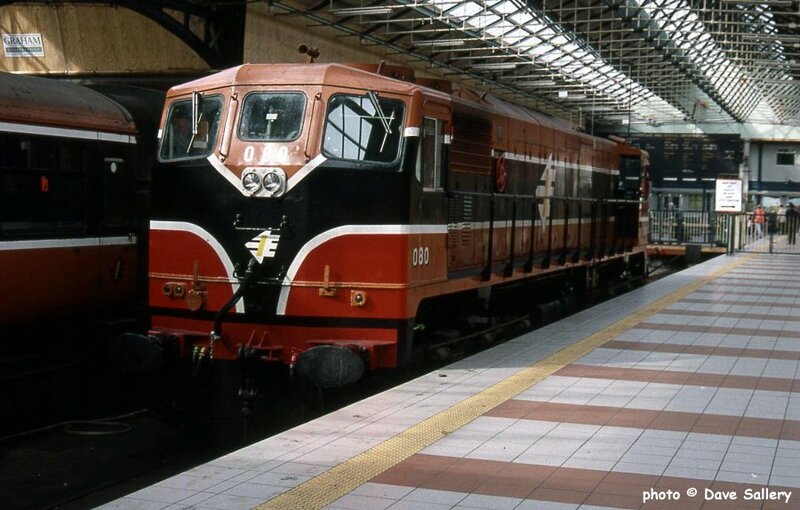 080 on a train to Rosslare at the south end of Connolly, 3 September 1996. 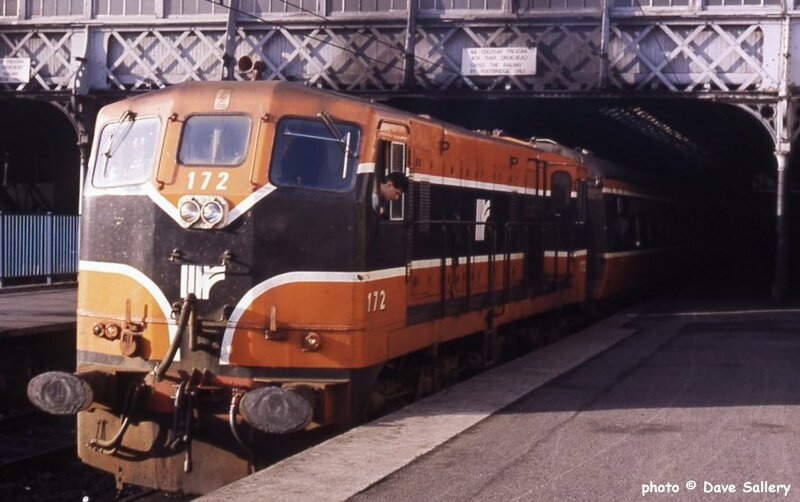 227 runs light through Connolly, 18 May 1996.